4. Manipulating intervals to change neuromuscular and musculoskeletal load. 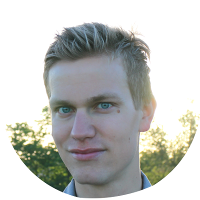 How to manipulate long and short interval variables to optimise anaerobic energy contribution. How to manipulate long and short interval variables to neuromuscular and musculoskeletal load. Example workouts and their anaerobic and neuromuscular / musculoskeletal implications. How to schedule HIIT into your training program. The Thibault interval training model. Example of how an Olympic triathlete uses HIIT in her training. This episode is about part 2 of the review - Anaerobic energy, neuromuscular load and practical applications. I discussed part 1 of the reciew (Cardiopulmonary emphasis) in Designing interval training: 10 things you have to know | EP#139. If you extend the wor interval duration without changing the rest inteval duration the anaerobic energy contribution increases. The same happens if you decrease rest interval duration without changing work interval duration. The same applies if you lengthen intervals while keeping the work:rest ratio fixed. For example, going from 1 minute on, 1minute off to 2 minutes on, 2 minutes off increases the anaerobic energy contribution. These all apply assuming that you're working relatively close (at least 90%) to your speed or power at VO2max (vVO2max or pVO2max). Note that anaerobic energy contribution cannot be easily measured directly, so it's typically estimated based on the rate of blood lactate accumulation in the first 5 minutes of the workout (mmol / l / 5 minutes), and/or based on the blood lactate concentration at the end of the workout (mmol / l). Short intervals (defined as one minutes or less in duration, usually at 100-120% vVO2max) are less anaerobic than longer intervals since at the beginning of every such interval you use stored oxygen, before the respiratory and circulatory systems needs to start to ramp up. This gives the aerobic system a longer runway before the anaerobic system's contribution needs to become really large. In long intervals passive recoveries are often used (especially running) whereas in short intervals active recoveries are preferred to get a longer duration at VO2max. Active recoveries increase the anaerobic contribution, but considering how important this is for short intervals to be effetive (to get a large time at VO2max) it is still recommended to use these active recoveries. 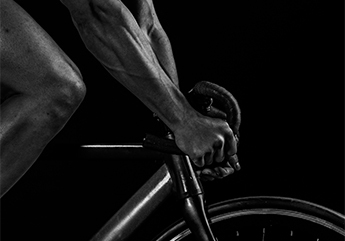 Why and when should you use more or less anaerobic interval workouts? Highly anaerobic workouts are often perceived as harder. This is very important to note because if you feel like you're working at the very edge every single workout day, you might stuggle to keep ​doing that consistently. When you need to recover quickly and restore your glycogen stores quickly you want to choose workouts that are less anaerobic. If you decide a less anaerobic worout is what you need (e.g. in your taper), choose short intervals. On the other hand, depeding on your goals you may want that to train your ability to use anaerobic energy and tolerate that buildup of metabolites that you experience. For example, if you're focusing on sprint distance triathlons or you're an advanced athlete and you're focusing on Olympic distance triathlons, but you're running your 10k at or above your anaerobic threshold this would apply to you. Then you want to do some sessions that are intended to actually work that anaerobic system very hard and stimulate it to make it more effective. In this case, choose longer intervals (e.g. 2- or 3-minute intervals). Don't do this in your taper, and also consider what you have coming up. If you need to recover quickly for a hard bike ride the next day, perhaps this is not the day to go very anaerobic. But if you have an easy day the next day, this is a great opportunity to do those longer intervals that are more anaerobic. In a study comparing 6 x 600 m on the track vs. 6 x 500 m uphill on the road (similar duration, ~1:40), the blood lactate levels post-workout was 13.2 mmol/l in the former case and 8.5 when running uphill. This indicates that running uphill is much less anaerobic. But remember that the time at VO2max is also lower when running uphill compared to on the track or flat roads, so you have to decide what tradeoff is right for you. Neuromuscular load refers to various physical stressors that your anatomy encounters during a workout and the acute effects that this has on both your muscular and your musculokeletal systems (including muscles, tendons, joints and bones. In terms of neuromuscular performance refers to muscle fiber recruitment other changes in functionality, e.g. force generation capacity. Work intensity is generally higher with short intervals (e.g. 30 seconds vs. 2 minutes). Short intervals (since you do a lot of them) require you to accelerate and decelerate frequently, so you need to generate lot higher forces and power. Due to these accelerations and decelerations, the max speed that you reach in those intervals may actually start to approach your sprint speed. You need to consider neuromuscular load from an injury management perspective. At the same time, if you want to make your neuromuscular system more efficient (you do! ), you need to work hard/fast enough to stimulate it to improve. There is likely a bell-shaped relationship for the intensity of the session and the neuromuscular response. The intensity required to improve neuromuscular performance (both acutely and potentially long-term) is at least 80-85% of vVO2max. But very high velocities (>120% vVO2max) cause acute impairments, residual fatigue, and significant neuromuscular load that should be accounted for. Slightly lower intensities that still allow you to reach VO2max (e.g. 90-95% of vVO2max) can be a safer choice than higher-intensity work from an injury prevention and musculoskeletal load perspective. Studies have found that hamstrings are loaded less when doing intervals uphill compared to on the flat. Doing intervals uphill could therefore be a good choice for minimising the risk of hamstring strains. However, remember the trade-off with time at VO2max! Also, consider that there is some additional muscular load and damage from running downhill, and the harder you run downhill the greater this damage becomes. Peripheral fatigue means fatigue in your working muscles, which can be measured and defined by e.g. changes in the muscle excitability. Central fatigue is fatigue on a central nervous system (CNS) level, and affects the neural communication between the CNS and the muscles. Central fatigue affects all the muscles in the body, no matter which muscles you have been working. Peripheral fatigue is more specific to the muscles you have been working. Short and long intervals typically cause more peripheral rather than central fatigue, as long as they are non-maximal efforts. Note that e.g. 120% of vVO2max is still a non-maximal effort (it's not your sprint speed). When the speed gets very high (e.g. >120% vVO2max), close to your sprint speed, the workout tends to generate more central fatigue. You might be able to do a hard swim the same day or day after a hard run if the run generates primarily peripheral fatigue. But if the run generated central fatigue, then this will likely be very difficult, or you won't reach the intended quality in the swim. First, the accused metabolic and neuromuscular response of your workout should be in line with your goals and targets, your physiological needs, and where you are in your season. Second, you need to consider the time that you need to recover from that session and this needs to be from perspective of what other workouts you need to fit into the puzzle. A good general recommendation is to separate interval workouts by two days. increased ratings of fatigue, muscle soreness and poor sleep quality after 4 weeks on that program. How this applies to triathlon, where you can do interval workouts in three different disciplines is not clear. But anecdotally, most experienced triathletes can do three interval workouts per week very successfully, since they are in different disciplines. In some cases they can and do more, especially for the swim. The more anaerobic workouts will recover more recovery, since you deplete your glycogen stores more. See the Thibault Model for workouts of (theoretically) similar RPE at different combinations of intensity, duration, and number of reps.
E.g. 5 x 3 minutes (1:1: work rest ratio) at 95% vVO2max is roughly equal to 21 x 2 minutes at 85% vVO2max. 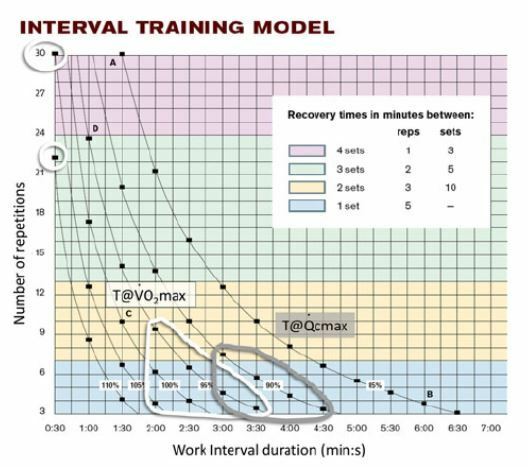 The workouts that maximise time at VO2max are encircled in white. Those would be two of three main options, and I’ll add a third one: improve technique/economy if that is not up to the level it could be. This could be done e.g. by increasing range of motion. You need to assess whether this is feasible for you. For most age groupers it is, and is an often missed component of running. Not to mention swimming of course. Regarding adding volume or doing better high-intensity training. It’s always worth trying to get the most bang for your buck, so I would always try to optimise the intervals. But the additional benefits from this if you are already training with decent structure is probably not as big as adding more volume at a low intensity. Of course, adding volume comes with the caveat that you may need to make changes to how you take care of your body (sleep, nutrition, foam rolling and stretching etc.) in order to not get injured. So in a nutshell, it all starts with a SWOT analysis. Does technique hold you back? Do you have time to add more volume? Are you injury prone?